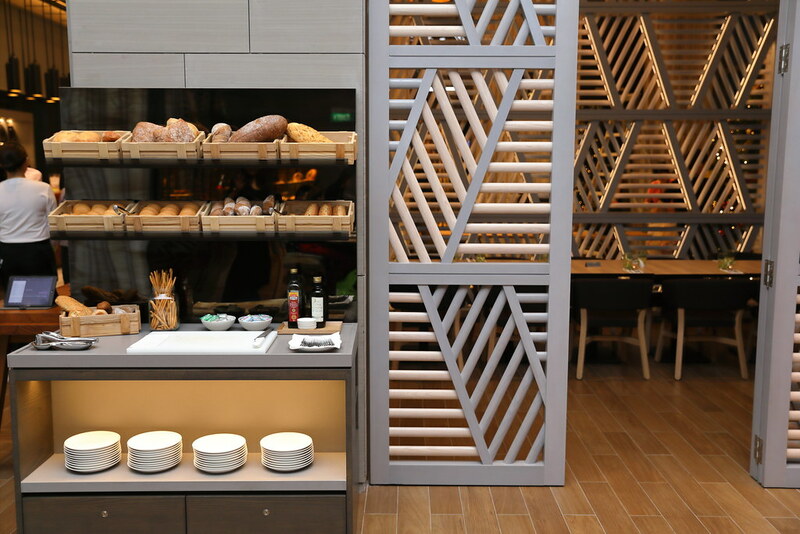 Sky 22, an all day dinning concept has landed in the heart of Novena at the all-new Courtyard by Marriott Singapore Novena. Located on the 22nd floor, the restaurant features panoramic views of the nature reserve. 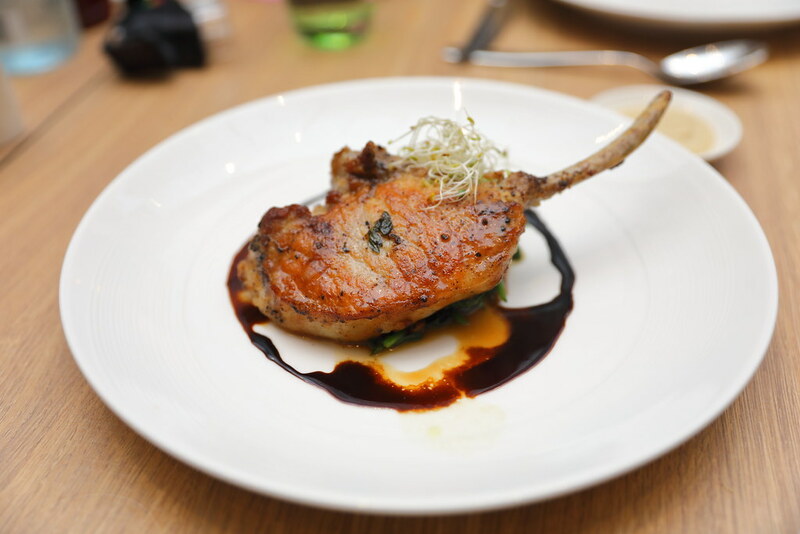 The restaurant focuses on healthy, wholesome culinary creations that is inspired by local cuisine, using premium quality ingredients and local aromatics. An interesting dish on the menu is the Nasi Ulam Wild Rice Salad ($22) which has been given a richer and modern rendition. 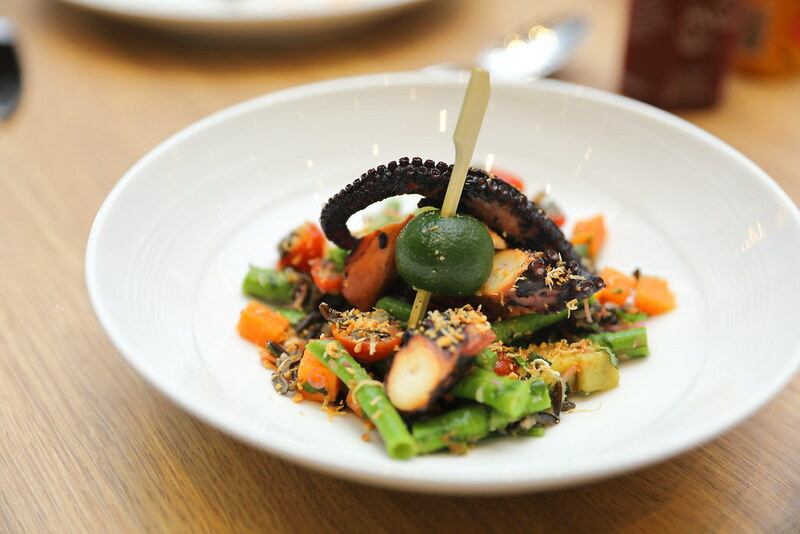 The play of textures and flavours has been enriched by the use of charred octopus, long beans, fire-roasted sweet potato, organic betel leaf, ginger flower, crushed peanut and toasted coconut. 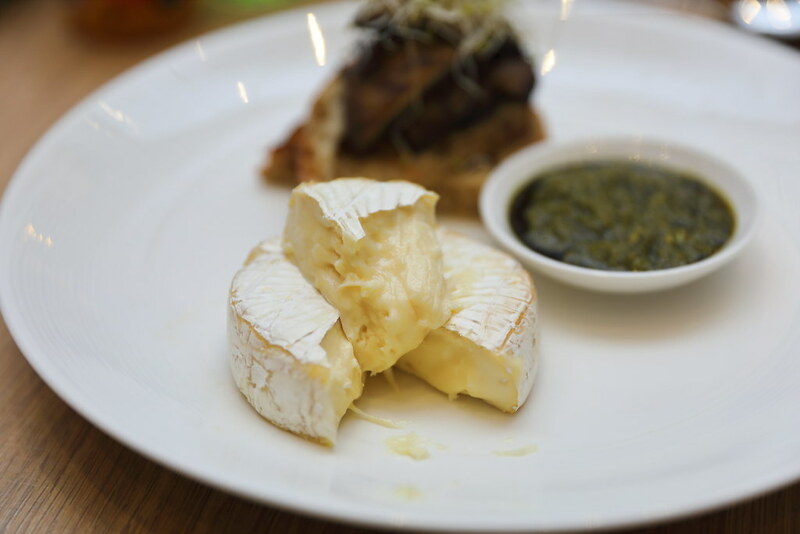 For the cheese lover, there is the Oven Baked Camembert Cheese ($18). You get the whole block of cheese to go along with the rosemary-balsamic Portobello mushroom, arugula walnut pesto and grilled sourdough. 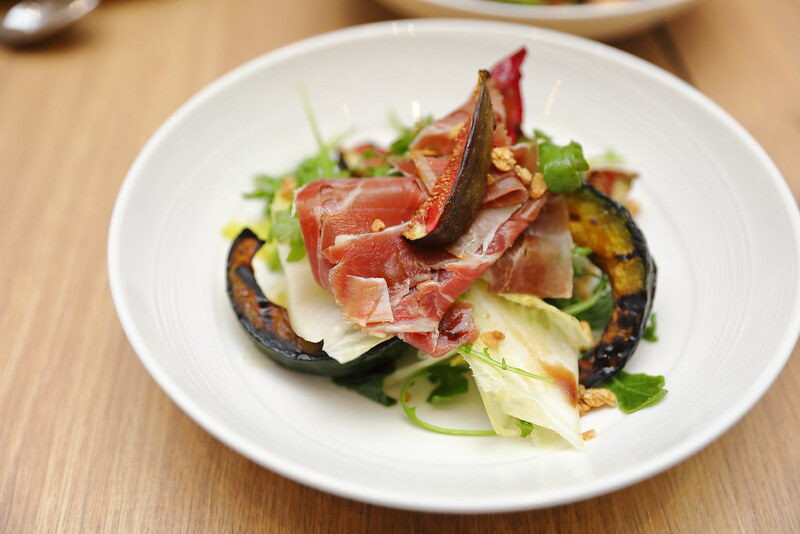 For something light and healthy, the Prosciutto & Belgian Endive Salad ($22) will be a good choice. The sweetness of the roasted Japanese pumpkin and caramelised fig are complemented by the pomegranate dressing, with the savory granola providing the extra crunch. 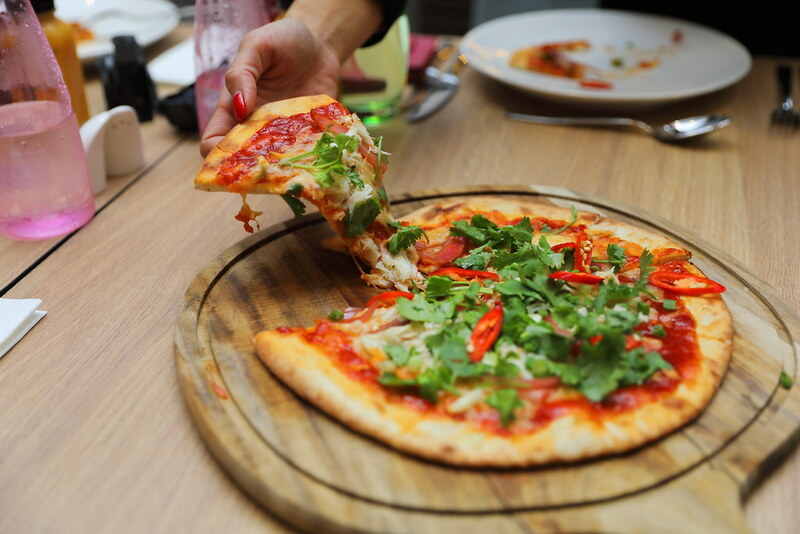 Chilli crab on a thin crust pizza is an interesting interpretation of the national dish. 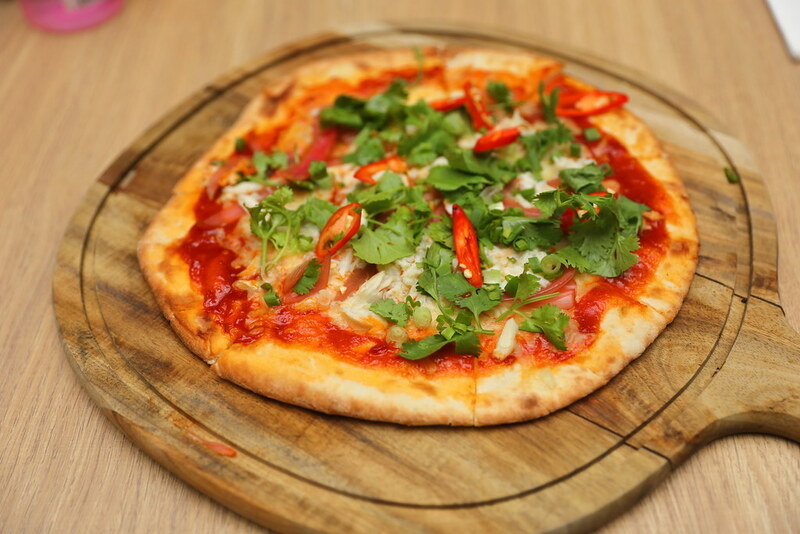 The Singapore Chilli Crab Pizza ($26) is topped with generous chunks of crab meat and garnished with Spanish onions, red chilli and scallions. Initially I felt that the pizza needs to be more spicy but then it is a pizza after all, so the sweet tomato base actually fits the characteristic of a pizza. Reducing the heat is also make it more palatable for the foreigners. Cooked to perfection is the Iberico Pork ($36), tender and juicy. What I like most is that it does not have that porky smell. It is served with oven baked baby radish, hummus, wilted Chinese spinach and yellow soy beans. The accompanying balsamic sauce provided the extra zest to lift the enjoyment. 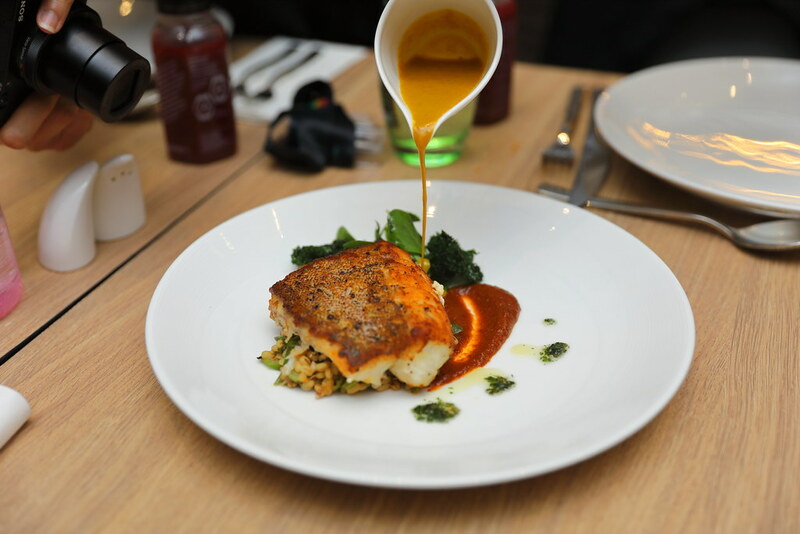 Inspired from the local sambal stingray, the Pan Seared Red Spotted Grouper ($26) is topped with red cherry shrimps and okra, served with a slather of sambal olek and light turmeric coconut sauce. To be frank, I don't find any association in taste to the sambal stingray. However it is a well executed dish that will delight one's taste buds. A vegetarian dish on the menu is the Purple Potato Gnocchi ($24) which is made from scratch by the kitchen. The comforting dish comes with a medley of fire-roasted vegetables, mascarpone and tossed in burnt sage butter. I felt that the gnocchi was a thick for bite, and probably a little bit more colours for the dish will make it for appetising. 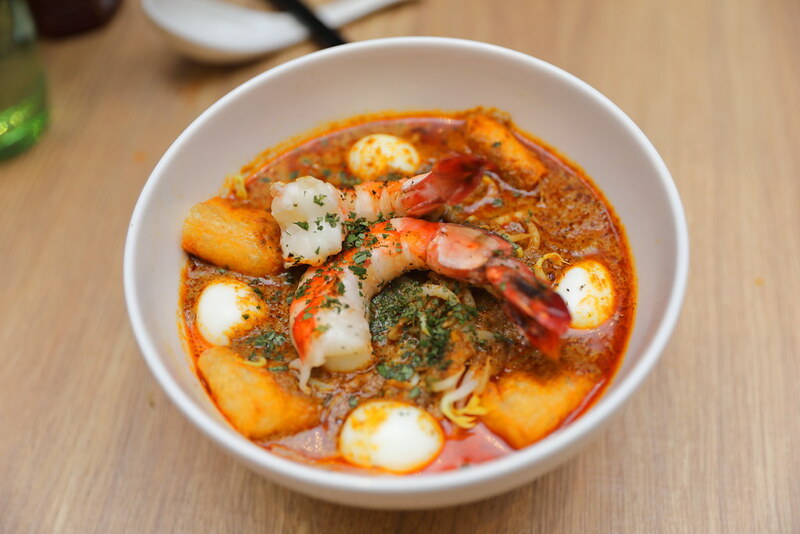 The signature at Sky 22 has to be their Tiger Prawn Laksa Lemak ($24) that is an atas version of the local street food. Comes in a rich spicy coconut gravy, there are thick vermicelli, charred tiger prawns, quail eggs, beancurd puffs and fish cake. I finished the bowl of laksa to the last drop. Last but not least, we had the Bubur Cha Cha Cup ($12) for dessert. 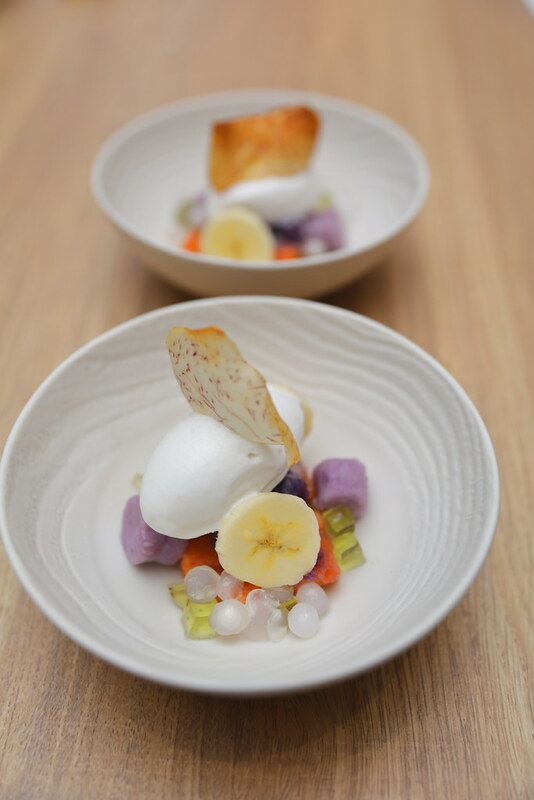 It is a deconstructed rendition of the popular nyonya dessert, which comes in a combination of sweet potato, yam, banana, pandan jelly and sago, with a a scoop of coconut ice cream. I actually still prefer my traditional bowl of bubur cha cha, in which I can get every textures and flavours in one spoonful. Besides the a la carte menu, Sky 22 also offers a healthy lunch or dinner B.Y.O.B (Build Your Own Bowl) concept allowing diners to create personalised bowls accordingly to their taste and preference. 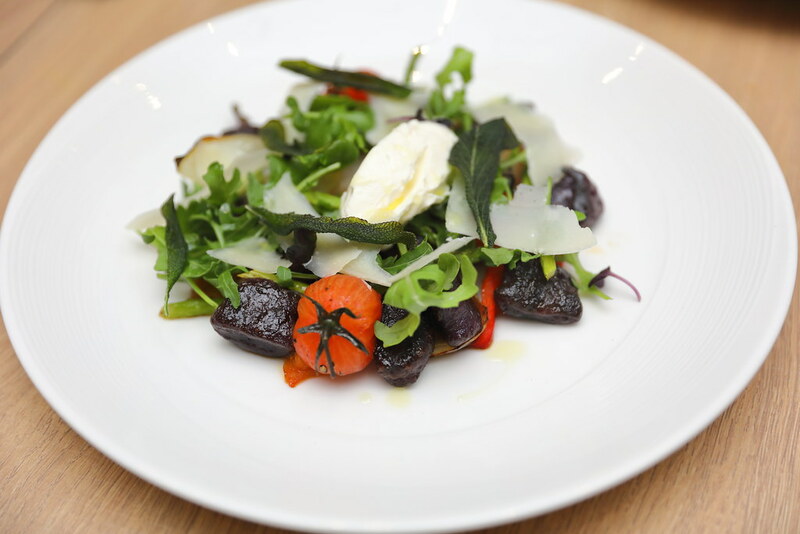 Dinners can start by selecting from different salad bases topped with vegetables, cold cuts and a choice of a house dressing. They can also warm their appetite with hot bowls of soup before working on their built bowls. Top up an additional $4 for a dessert for a sweet finish.